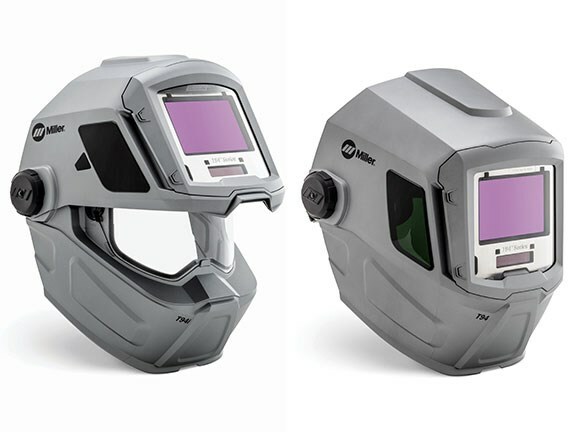 The new T94 Series welding helmets from Miller are designed to reduce neck strain and fatigue through better balance, while also improving comfort and visibility. The auto-darkening helmets have a chiselled shell design that provides optimal skin coverage and accommodates half-mask respirators, Miller says, adding that an aluminium heat shield and silver shell reflect heat to keep both lens and operator cooler. The company says it has designed the shell and headgear in a way that provides 14 percent better balance than before, reducing torque on the operator's neck by 17 percent and alleviating operator fatigue and excessive neck strain. They are also 6 per cent lighter than before. The T94 helmets use ClearLight Lens Technology for better colour and clarity in both welding and light states, which should reduce eye strain and improve weld quality. Other features include multiple operating modes, half-shade lens settings and shade 5.0 side windows. These models have four operating modes — weld, cut, grind and X-Mode (which electromagnetically senses the weld to eliminate sunlight interference and continuously detects the arc even if sensors are blocked) — plus InfoTrack 2.0 data monitoring technology which monitors arc time and arc count for quoting and metrics. There are two models in the Miller T94 Series: the T94, which has external grinding control; and the T94i, which has what Miller describes as the industry’s largest integrated grind shield. 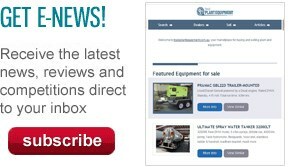 "It provides 284 square centimetres of clear viewing area for grinding and other tasks, increasing helmet-on time and decreasing the potential for eye injuries," the company says. The welding helmets come with five outside cover lenses, two inside cover lenses and a helmet bag.